“Sometimes I get extremely excited about a new idea,” said one person. “Turning it into something practical, I then do work that is extremely satisfying. “After making my living at it for a while, however, I begin to lose interest. Imagine you are shaping your future career. 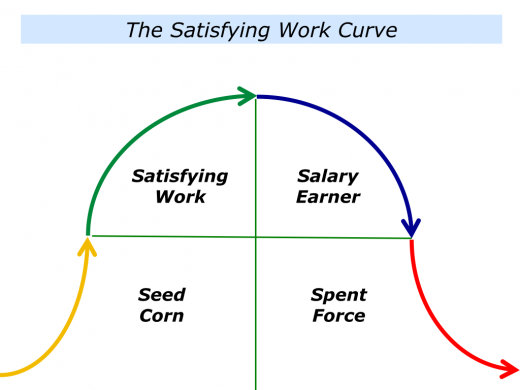 Here are some ideas to consider when going through the satisfying work curve. Stage One is your Seed Corn. You plant lots of seeds and explore many possibilities. Some seeds grow and people show interest. You also put extra effort into the projects you find stimulating. Stage Two is your Satisfying Work. You become obsessed with the fulfilling activities and begin searching for funding. Stage Three is your Salary Earner. Translating the satisfying work into money earning activities, you continue trying to make the work stimulating. After a while you may want to move on, however, especially if you experience the final step. Stage Four is your Spent Force. The cash is still coming in, but performing the activities no longer generates energy. 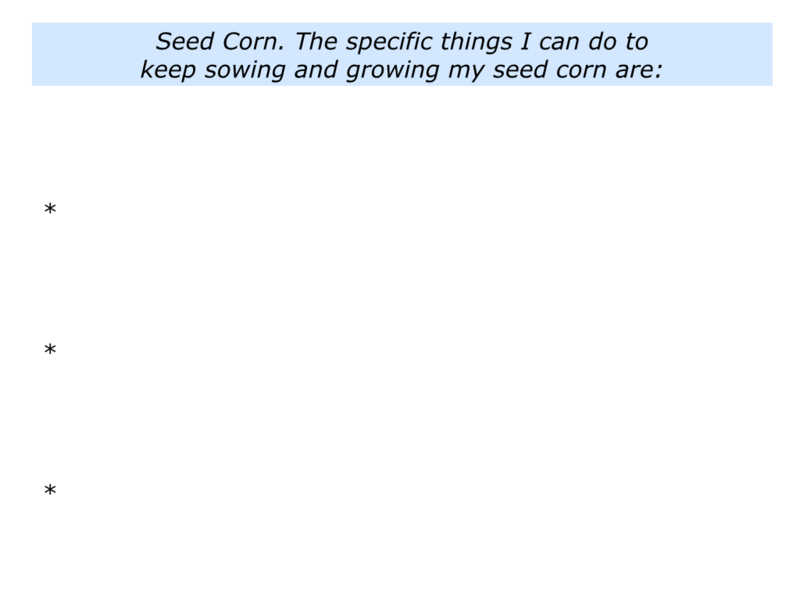 That does not matter, providing you have been continuing the development cycle and nurturing your next crop of seed corn. Take a look at the satisfying work curve. Where do you feel you are right now? Perhaps you have different projects at different stages. If so, plot where you are on each project on the curve. Consider how you can make this happen. The key is to get the right balance between creativity, customers and cash. That will put cash into the bank and help to develop the products. It can be useful to translate the satisfying work into your salary earner, but also don’t slide too far down into the spent force areas. Keep returning to the elements you find stimulating. 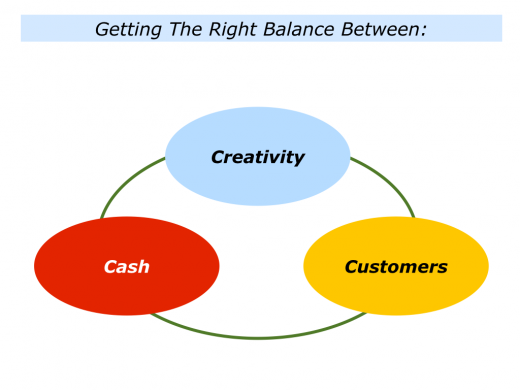 You can re-energise yourself and reinvigorate your offering to customers. Capitalising on the salary work can help to provide seeding funds for the future. 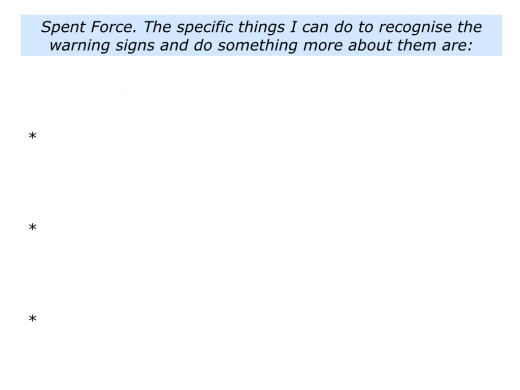 “Watch out for warning signs,” is a key point to remember, because some activities may slip into the area of being a spent force. You will recognise when this is happening. Perhaps you have less energy, get headaches or feel bored. Be aware of the warning signs and act early, rather than late. This brings us to the next step. You can keep exploring and visiting customers. They will provide the challenges to which you can find creative solutions. These challenges may well provide the ingredients for planting your next set of seed corn. 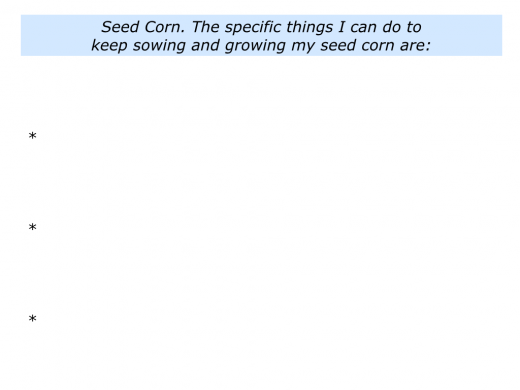 Describe how you can keep sowing and growing your seed corn. Describe how you can translate your satisfying work into a salary earner. 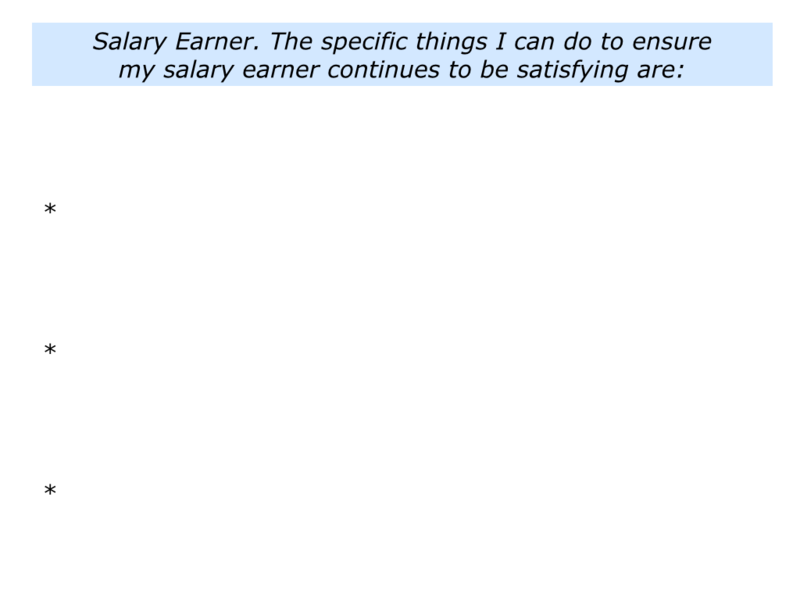 Describe how you can ensure your salary earner continues to be satisfying. 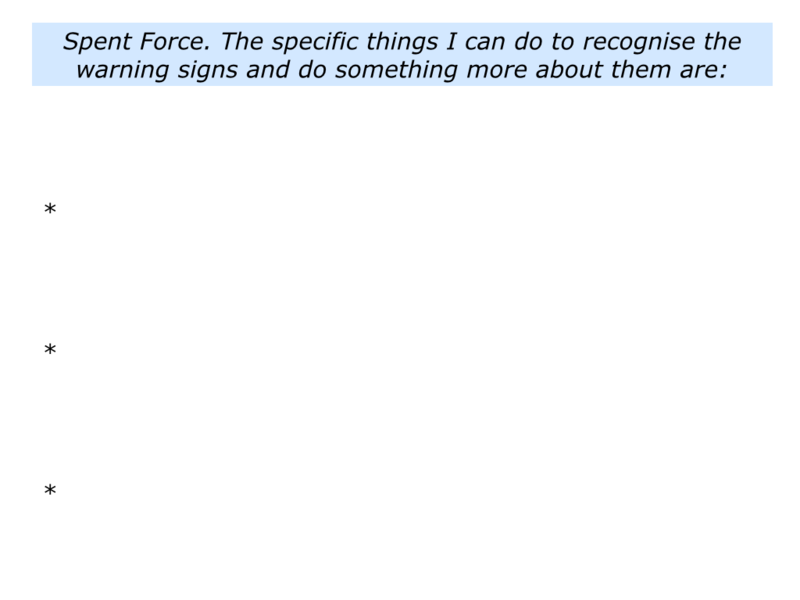 Describe how you can recognise the spent force warning signs and do something about them. Keep checking where you are on the curve. You can then keep planting seed corn and enjoying satisfying work.